Millennium Family Fitness has ongoing classes. Please check back here for monthly updates! A 1 hour cardio workout designed to burn calories, improve endurance and strength and enjoy the fun and camaraderie of riding together; riders can progress at ones’ own paces and can connect smart phone to cycling bike to track workout progress. A 40 minute cycling class concluding with 20 minutes of yoga and stretching. A 1 hour class that combines cardio exercises with tennis drills. A 1 hour class that blends flexibility and strength training to improve posture, reduce stress and creates long, lean muscles. A 30 minute workout class that meets at the Gym Rax and utilizes multi-function equipment and accessories for a full body workout. 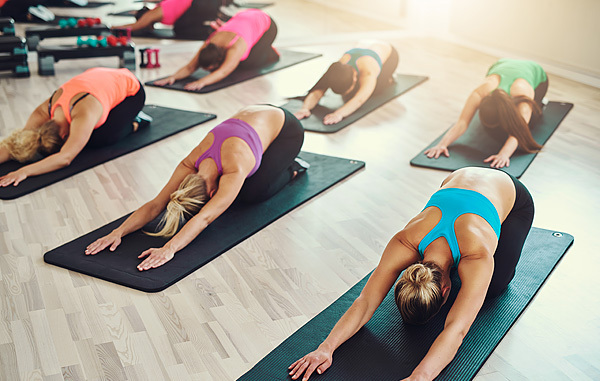 A 1 hour comprehensive workout that incorporates yoga and pilates, standing balance exercises, mat work and flowing stretches that will help you achieve a powerful core and increase flexibility. A 1 hour class designed to stretch, practice breath control, meditate and practice specific body postures for flexibility and strength. 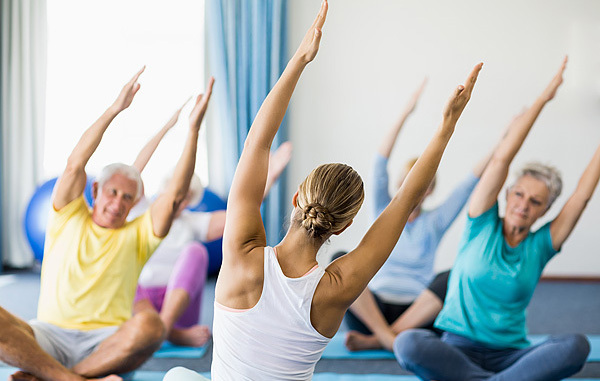 A 1 hour class designed for adults 65 and older to perform exercises and use exercise tools that improve muscular strength, endurance, range of motion, joint stability, flexibility, and balance. A 1 hour, high energy, low impact workout that combines barre technique exercise with light weights to burn fat; a complete body workout using some ballet techniques and light weights resulting in a more sculpted and elongated physique. A 1 hour class that combines cardiovascular training, muscular strength and conditioning with athletic drills to ensure a total body workout; modifications will be shown to accommodate various fitness levels.